By admin in Uncategorized on June 4, 2018 . Several interesting and important things have happened in our group during spring 2018. 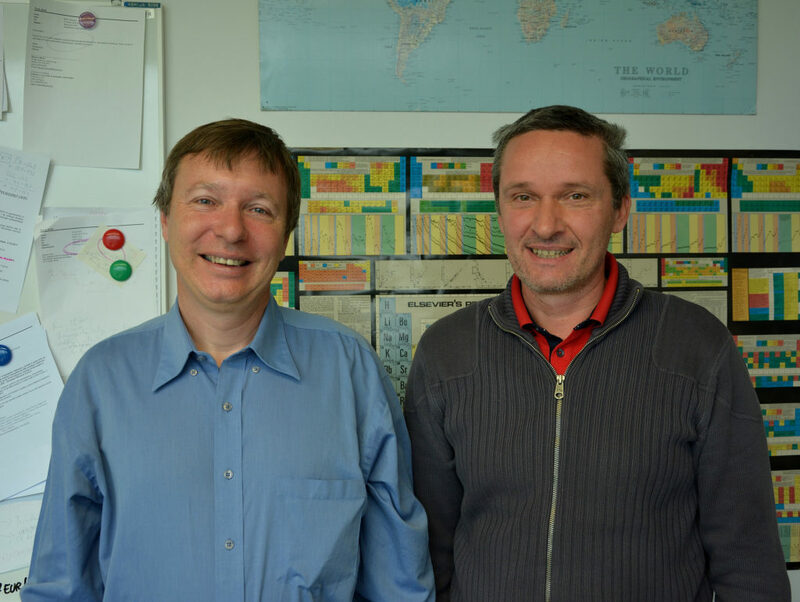 During his short stay at our Faculty, Prof. Bostjan Kobe has shortly visited our labs. Bostjan and Iztok were classmates during their study of chemistry at the Univerity of Ljubljana. Bostjan later went to University of Texas Soutwestern America Medical Center at Dallas, USA, for his Ph.D. studies under the supervision of Nobel prize winner Johann Deisenhofer and he is now Professor of Structural Biology at the University of Queensland in Australia. It is always nice to meet old friends to talk about the past, present and also future! 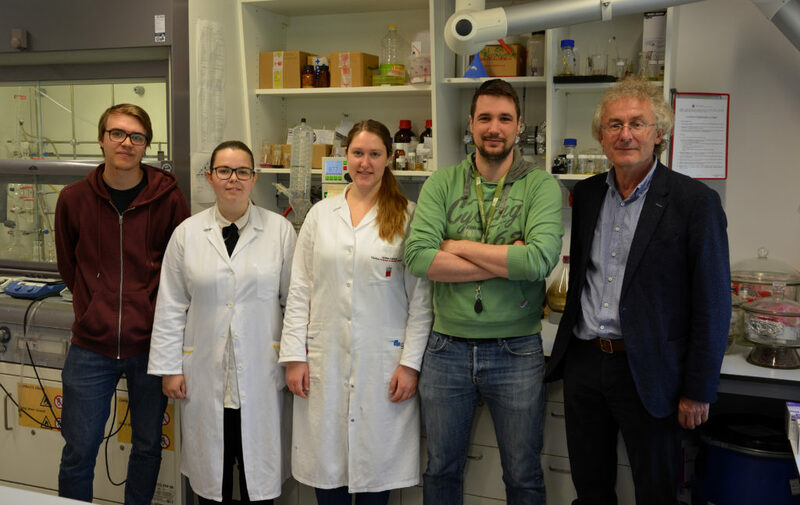 Professor Roger Alberto from the University of Zürich, Switzerland has visited our labs in May and held a lecture titled »Bioorganometallic Technetium and Rhenium Chemistry: Theranostics, Fundamentals and Applications« for the students of the FKKT doctoral study programme. Complexes of the radioactive element technetium are well established in diagnostic nuclear medicine, and various complexes of the gamma-emitting nuclide 99mTc are routinely used for organ imaging (heart, brain, etc). Professor Alberto was involved in the discovery of compound MIP 1405 which is on a good way to enter clinical use soon. 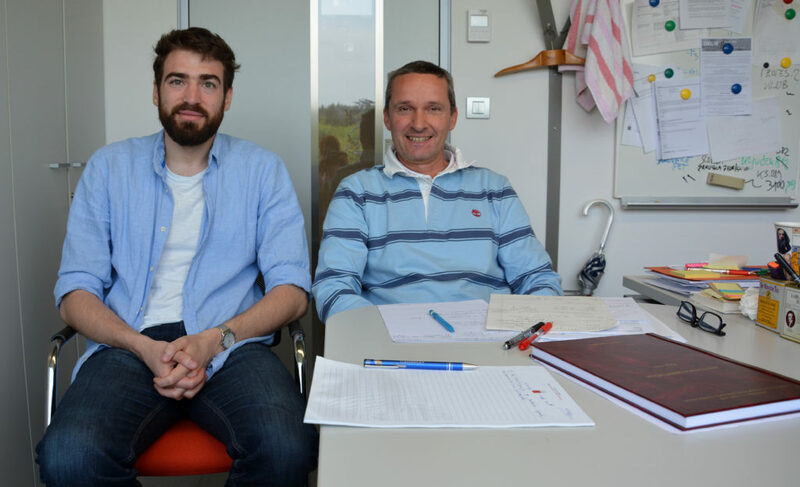 In spring 2018 two members of the group have finished their doctoral study. 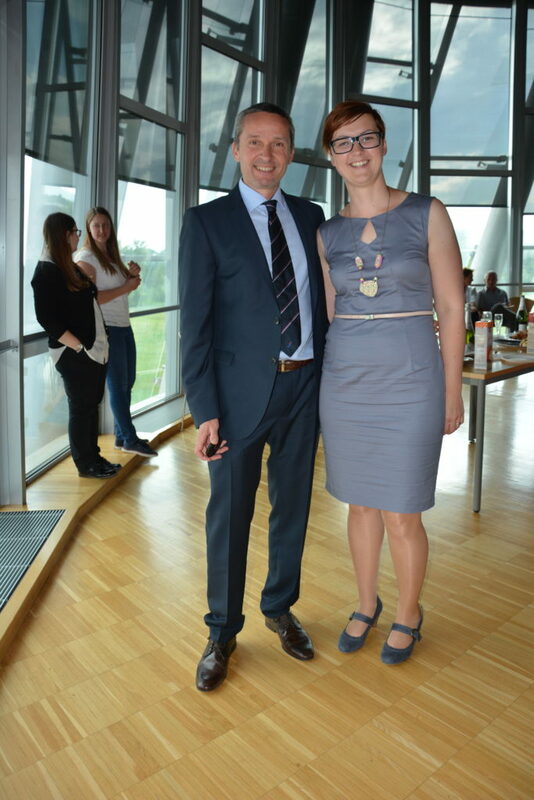 The Turel group thanks and congratulates to Matija Uršič on his successful defence of PhD thesis entitled »Synthesis and characterisation of ruthenium complexes with phosphine ligands« and to Katja Traven (nee Krančan) on her successful defence of PhD thesis with the title »Novel ruthenium coordination compounds with N,N-, N,O- and N,N,N-donor ligands«. We wish both of them all the best and continued success with new challenges.